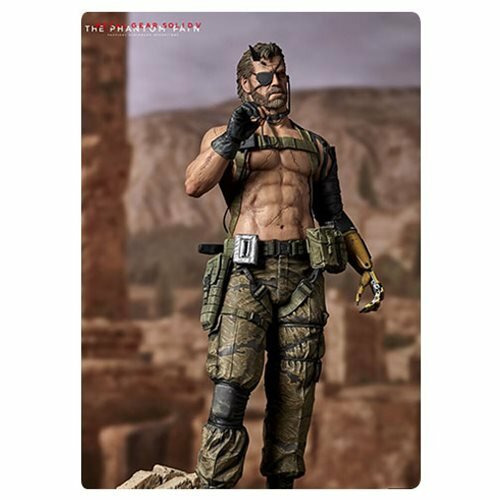 Shirtless Venom Snake is from the play demo version of Metal Gear Solid V! 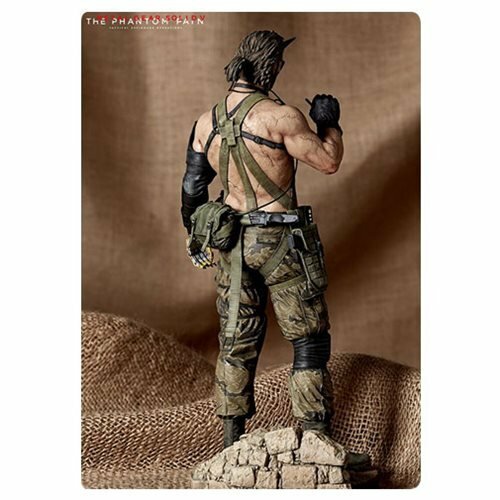 1:6 scale statue stands roughly 12 1/2-inches tall. Exceptionally realistic and exquisitely detailed. Limited edition of only 800 pieces! 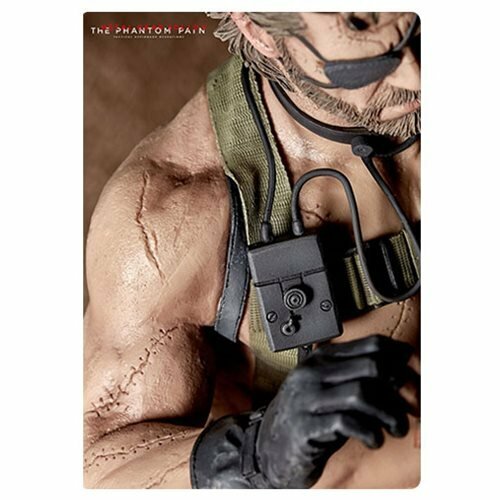 At Tokyo Game Show 2014, Venom Snake appeared shirtless in the play demo version of Metal Gear Solid V. Now, this look can be yours with the fabulous Metal Gear Solid V: The Phantom Pain Venom Snake Play Demo Ver. 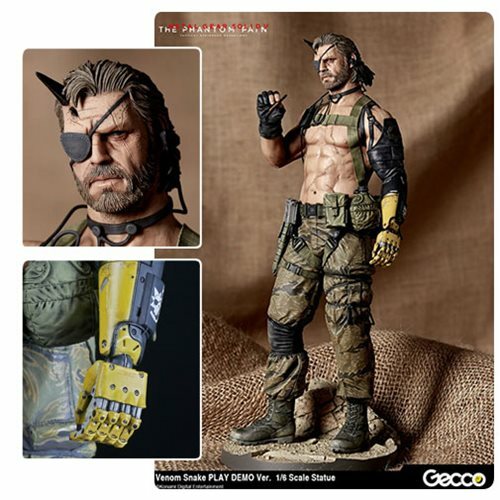 1:6 Scale Statue! 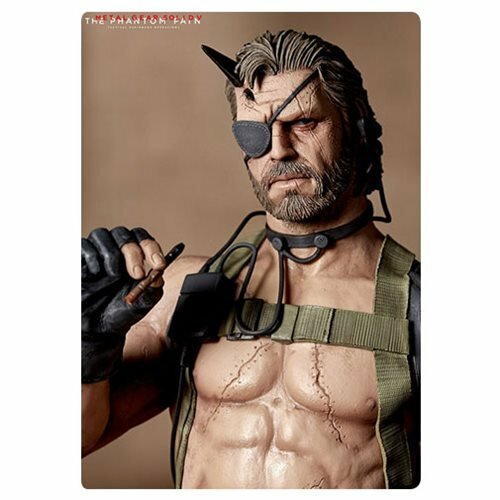 This exceptionally realistic piece highlights both his relaxed posture with Phantom Cigar in hand and a super-tense atmosphere with his sharp eye always watching out for enemies. 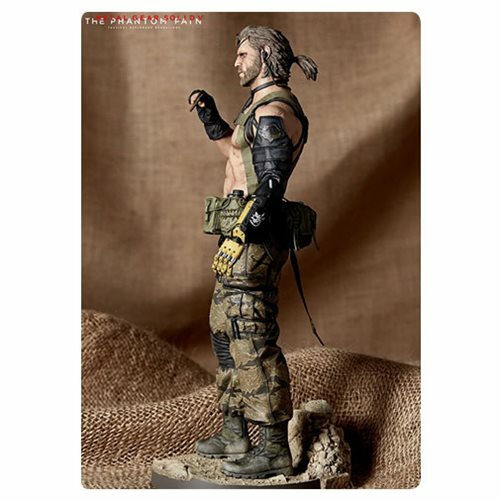 Standing roughly 12 1/2-inches tall, the exquisitely detailed Metal Gear Solid V: Phantom Pain Venom Snake Demo Statue is limited to only 800 pieces! 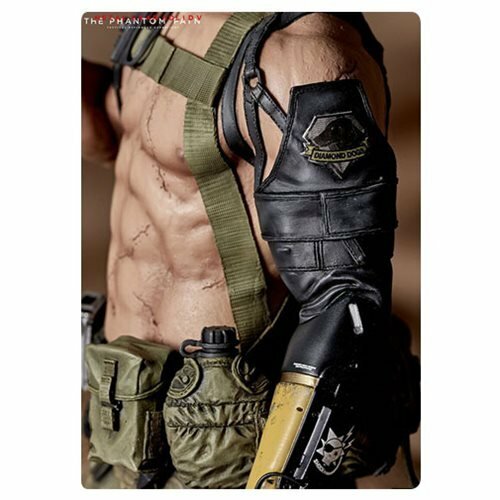 His upper body captures the anatomy of an experienced and aging soldier, with his torso thinly covered with fat and countless scars garnered from tough missions and war. 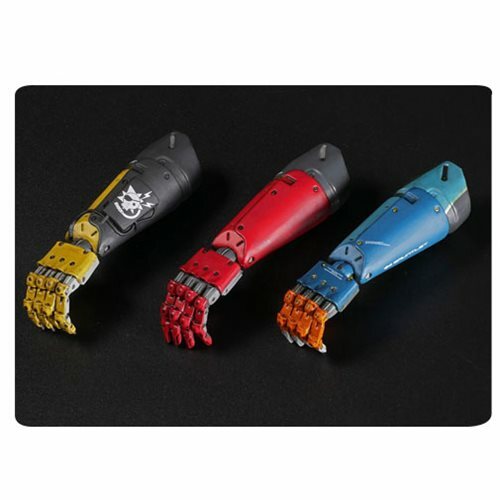 His bionic left arm is equipped with a Stun Arm that can knock enemies unconscious with electric shock and is interchangeable with the Hand of Jehuty or the red default one. In the game, the length of the horn on his head changes according to the situation; in this statue, it's shown grown.